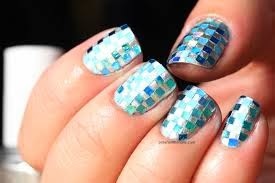 Lush Fab Glam Inspired Lifestyle For The Modern Woman: Currently Obsessed With Blue-Green Nail Art Designs. 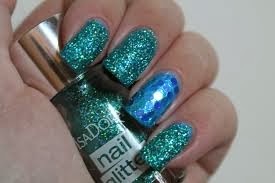 Currently Obsessed With Blue-Green Nail Art Designs. The latest snowfall and winter weather that's been blanketing the east coast has us longing for spring break, winter getaways, cruises and resort vacations. 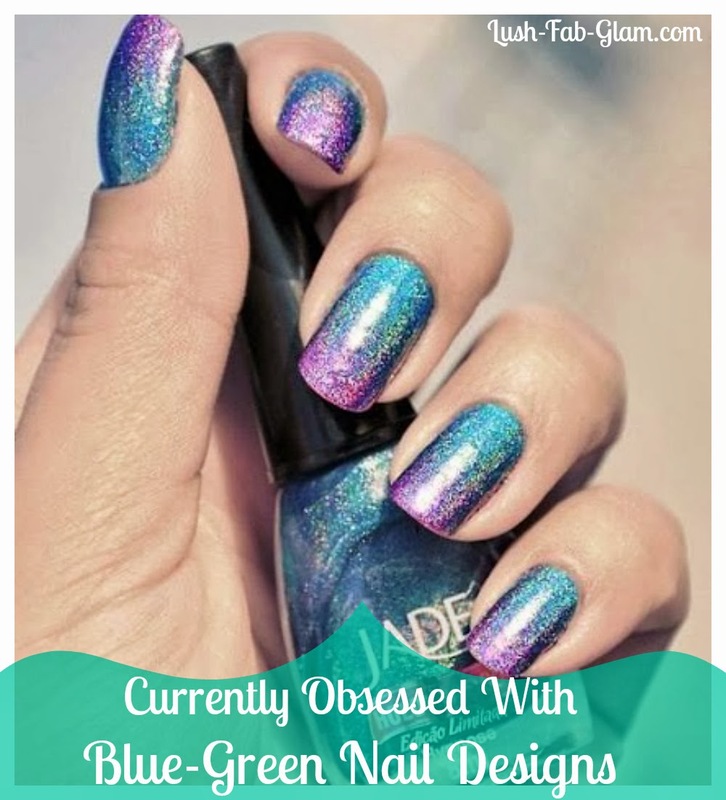 When you are day-dreaming about white sand beaches and turquoise blue sea it's very easy to become obsessed with alluring blue-green colors. 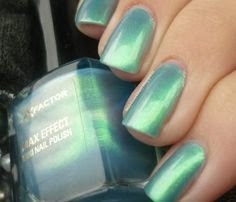 From turquoise to sea-foam blue and beautiful blue-green. 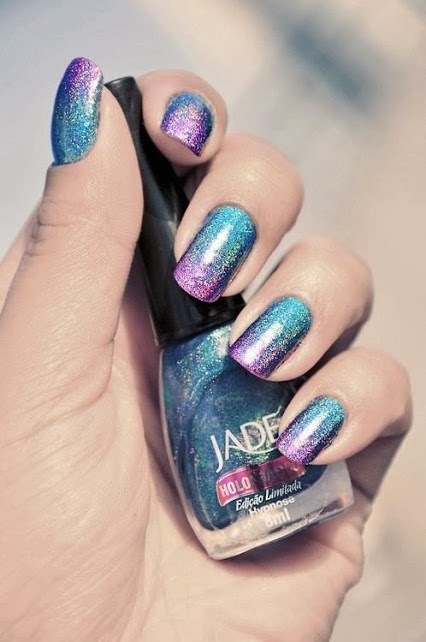 Until spring break gets here we are infusing these gorgeous and rather chic colors into our every day style and beauty regimen and we are starting with our reader favorite beauty feature; nail art. 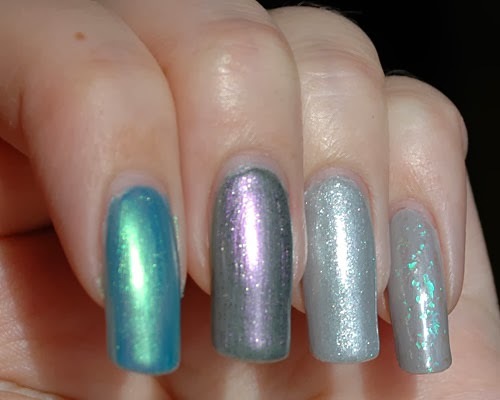 Read on to see all the fabulous shimmer, shine, bejeweled and glittery blue-green nail art designs that you should definitely try! 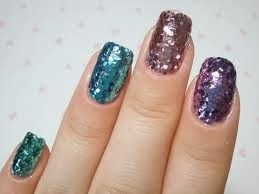 Which nail art design is your fave? Share with us by leaving a comment below.